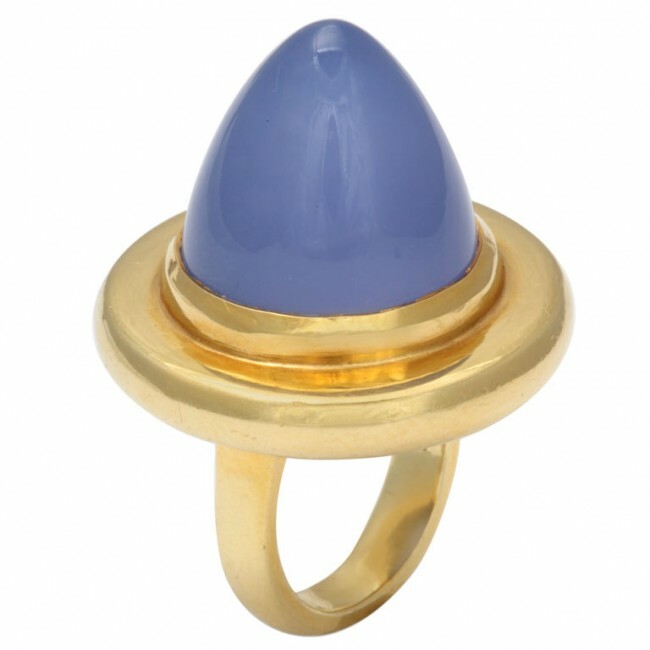 A unique 18kt yellow gold ring featuring a large sugar loaf chalcedony stone. The chalcedony was carved in Idar Oberstein. size 7.